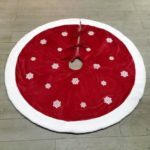 Cute Santa Claus looks attractive and fashion. 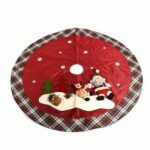 92 cm outer diameter provides a perfect place to set the gifts. 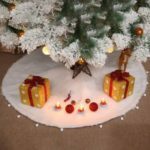 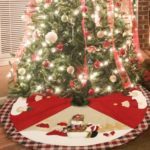 LED lights will makes this tree skirt more attractive for child. 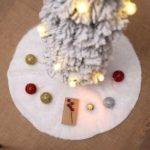 Warm Notice: This LED tree skirt needs 3 x AA Battery(Not Included in the package).